Small and alone, Baxter Bird waits by the side of the narrow country road that meanders across the crest of the green rolling Downs. He shields his eyes against the glare of the noon sun and peers unhappily into the distance, following the route of the road as far as his eyes can see – to where it dips suddenly away and out of sight behind the billowing may-blossomed hedgerow. Baxter sighs heavily, bows his head, and swings a disconsolate foot at the tufted edge of the grass verge. It’s not the first time he’s done so since he’s been waiting. He looks down, studies his shoes: both toecaps are scuffed and greened from the hour he has spent worrying away at the thin ragged edge of the roadside. Briefly, he wonders whether he’ll be in trouble – but decides he probably won’t be. Not really. Because they’re not his best shoes. You don’t wear best shoes for camping: he knows that now. In fact, he now knows a lot about camping. Like how you choose the spot for your tent, up high so that you can see forever. How you light a fire to cook sausages; how the tent is held up with poles and strings; what an owl sounds like. In the dark. In the middle of the night. How to sharpen the end of a stick with a pen-knife – although he wasn’t allowed to do the sharpening, because he’s only seven and isn’t big enough to have a penknife. Not yet. And he wasn’t allowed to light the fire either – not by himself. But he did gather some of the wood for it and Mr Robinson said he could poke at it with his stick as long as he was careful. And when he and James and Roger did stand and poke at it – carefully – they watched orange sparks separate from the fire, break free and fly up and away. And then, even though they were still watching really hard, the sparks just disappeared. Mr Robinson said it was like magic. And it was. Baxter turns to face the field across the road where Mr Robinson and James have collapsed the tent and are busy putting the poles into a special bag. Catching Baxter’s eye, Mr Robinson stops, straightens, frowns, looks at his watch. ‘OK over there, Baxter?’ he calls. Baxter nods a self-conscious reply and turns quickly back to the lane. Where is he, his father? He was meant to come at eleven to take him home. Baxter had heard him promise. Sort of. ‘You won’t forget, will you?’ Baxter’s mother had said, anxiously, quietly. She couldn’t come to collect him herself because she had to take Megan to the dentist for fillings. ‘Of course I won’t bloody forget,’ his father had snapped, slamming the door behind him. Not that Baxter wants to go home. The truth is he doesn’t want it to end: he wants to stay forever – being an explorer, playing by the stream, sleeping in the tent, making fires, talking about the devil. It’s been the best time. Ever. But he knows he can’t stay because Roger has already gone and because Mr Robinson and James have to leave very soon now and it’s a long drive to Pontefract. Baxter doesn’t know where Pontefract is. But he knows it’s important for James to be there because he’s going to stay with his auntie for a few days. Because he doesn’t have a mummy any more. Baxter kicks again at the grass verge. He feels sick in his stomach from the waiting for his father to come. Not that he wants to see his father, of course. Baxter knows he won’t be able to tell him anything about the camping because he never listens. And if Baxter did try to say – about the hare they’d seen running, jumping across the field – he’d only get angry and shout and do hitting. Like he always does. And there’s so much that Baxter wants to tell. Not just about the hare but about the kestrel hanging in the air like it was on a string, like it was a puppet. And about picking long blades of grass and blowing to make a tune. About having sticks; finding centipedes wriggling under stones; the owl in the night. About closing your eyes and counting. One. Two. Three. Baxter goes to kick at the verge again. Stops. In the distance is the sudden low rumble of an engine. Shielding his eyes once more, he looks up and along the road. He can’t see it yet – but he knows that a bus must be coming. He’s been standing by the roadside long enough to recognises the sound; the grumble and shake of it. From beside him on the verge, he bends to pick up the small rucksack that he’s borrowed from Megan, his sister. He puts the straps on his shoulders. He needs to be ready because his father will be on this bus – he must be on this bus – and he’ll be in a hurry. He’s always in a hurry. Baxter looks across the road to the field and exchanges a small, sad final wave with James and Mr Robinson. The bus crests the hill, sounds it’s horn, comes speeding towards him. And then, with a rushing blast of wind that buffets Baxter, makes him unsteady on his feet, makes his head spin, it carries on. Time for another, sweetheart?’ Betty says. Truman Bird checks his watch, leans across the bar, smiles a lop-sided smile. ‘I’ve got the time, princess, if you’ve the inclination,’ he says. Betty, behind the bar, raises a heard-it-too-many-times-before eyebrow, angles a glass and pulls at the pump handle. Waiting for his pint, Truman perches on a bar stool, taps a cigarette from its packet, lights it, draws deeply and sends a spiral of smoke towards the ceiling. Well, one more drink won’t hurt, will it? He’d only come in for a quick one before heading up to Devil’s Dyke to collect the boy – but Betty’s a real looker, likes a laugh and it would have been a shame to rush away. There’d been a good crowd of regulars in too. He’d dusted off the piano in the corner and they’d had a bit of a sing-song, him at the keyboard, belting it out it. That’s how one drink had become two. Become more. But it won’t do the boy any harm to wait, will it? The sun’s shining; a bit of fresh air will do him good. And anyway, Truman thinks – accepting the glass from Betty, taking another pull at his cigarette – at least he doesn’t have to mess around with buses to fetch the boy. He’s talked Bernie at The Trumpeters into lending him his car for the day. So he’s got more time, hasn’t he? He’ll have to take it easy, though – he’s told Bernie he’s got insurance. As the bus disappears into the distance, Baxter shrugs off the rucksack and lets it drop to his feet. It’s difficult not to cry. It’s only because Mr Robinson and James are watching him from the field that he manages to keep the tears from running. He twists away from them, so they can’t see his face – and in doing so, he finds himself facing what he’s tried hard not to look at too much in all the time he’s been waiting for his father. To the left of the road, the ground falls quickly, steeply away. Into the dark mouth of a cavernous grassed gorge. Baxter stares down into it now, remembering again what Mr Robinson had told them on the first night, around the campfire. ‘Why’s there a big hole like that?’ Baxter had asked, pointing in the darkness towards the gorge. The way he said it, Baxter wasn’t at all sure he did want to know. But he couldn’t say. Not in front of Roger and James. All three of them nodded; the firelight flickering ghostly shadows on their faces. And, as sparks rose from the glowing embers of the fire, Mr Robinson told them, his voice whispering and low, that the gorge was the work of … he paused, hesitated, looked around as though afraid to be overheard, leaned forwards, breathed the words … the devil. The devil had come there one night, he said – bellowing like a beast, breathing fire – with a plan to drown all the good people in their churches for miles around. He was going to dig a trench all the way across the Downs to the sea to let the water in. He set about it. Digging furiously, digging ever deeper. Laughing as he worked. But then, Mr Robinson said, an old lady in a cottage nearby, who couldn’t sleep because of all the digging noise, got out of bed and lit a candle. And the devil, thinking it must be nearly morning and afraid of the light, ran away. Leaving his trench unfinished. But then they all tried to do the devil’s laugh – James, Roger, Baxter – and it wasn’t quite so scary after all. That night in the tent, before going to sleep, Baxter had thought about the story. He didn’t understand it all – and he hadn’t liked to ask Mr Robinson. He didn’t want to show himself up in front of Roger and James. He decided that when he got home, he’d have to ask his mother about some of it. Like who the devil is. And why he’s afraid of the light. When it’s the dark that Baxter fears. Christie Bird flicks through the well-thumbed pages of a two-year-old edition of Woman’s Weekly. She pauses momentarily on a pattern for a girl’s dress, wonders briefly whether Megan would like it, whether it would suit her, moves quickly on. She can’t settle on any of it. She checks her watch. They are supposed to be home by now but the dentist is running late – and that means that Truman will be left there, looking after Baxter. No, worse: by the time she finally gets there, he’ll be angry, breathing fire. There will be harsh words, doors slamming. There always are. She closes her eyes, suddenly tired. Suddenly so tired. The sound of the dentist’s drill – the whine and screech – cuts though the surgery door and jerks her eyes open. Beside her, at the sound of the drill, Megan tenses, shifts in her chair. ‘It’ll be all right,’ Christie tells her, putting her arm around her, pulling her close. By the side of the road, Mr Robinson and James are waiting with Baxter now. They have finished packing the tent and have loaded the car, ready for Pontefract. Baxter kicks again at the grass verge: Mr Robinson puts a reassuring hand on his shoulder. Don’t worry: it’s what Mr Robinson always says. He’d said it first when Baxter arrived two days before. His mother had brought him on the bus and he hadn’t been sure he wanted to stay. Baxter had been a bit nervous about camping. He’d never been to the countryside before. Only to Queens Park in Brighton – and that didn’t count. And he didn’t really know what camping was because he’d never done it. His mother, though, said it would be all right and that he’d enjoy being with his best friends. But it wasn’t really true about best friends. Roger was new at school and Baxter didn’t really know him at all and James – he doesn’t like to be called Jimmy or Jim; he gets a bit cross if you do – wasn’t really a friend. Because he wears glasses and because he cried quite a lot when his mummy died, James doesn’t have best friends at school. So it had been a surprise when he’d asked Baxter and Roger to go camping with him and his father. When his mother had got back on the bus to go home to Brighton, Baxter had felt very alone. And he’d been frightened of Mr Robinson at first – because he was tall and had a beard and wore shorts. But he soon stopped being frightened. Despite what Mr Robinson told them. ‘So Baxter and Roger, welcome,’ he said, holding out his hand to shake theirs, with a smile under his beard. It had felt funny, shaking hands. Baxter’s hand was small and soft: Mr Robinson’s hand was as big as a bear’s. It hadn’t taken long to see the camp. There were two white canvas tents: one for Mr Robinson and the other, slightly larger, for the three boys. Inside there were three small blue sleeping bags in a row and it was quite comfortable and warm and, even with the tent flap fastened, it was still light enough to see. Outside, there were some pots and pans for cooking. And there were stones laid in a careful circle. ‘That’s where we are going to build a fire later,’ Mr Robinson said. Soon they set off exploring. And that’s when Mr Robinson told them. ‘There are things you need to know if you are out and about in the countryside – important things,’ he said. And from the way he said it, with his voice low and slow, Baxter knew they were serious things. ‘But if you know about them, you can be safe and then you don’t have to worry,’ he said, with his big smile. Baxter was worried. And excited. ‘Do you know what the four dangers are?’ Mr Robinson asked. Baxter didn’t know; nor did Roger. They both shook their heads, bit their lips. James didn’t say anything because he’d been camping with his father many times before – so he knew the answer. ‘Well, we’ll just have to show you. Won’t we, James?’ Mr Robinson said, picking up his rucksack, marching off, the three boys scurrying small behind. The thing is – Truman thinks, sipping his pint, reaching for another cigarette – the thing is, he doesn’t want to leave too soon, does he? Not if it’s going to blow his chances with Betty. He’s on a winner with her, he’s sure he is. He can see it in her eyes, see it in the way she plays with the ringlets of her long blonde hair while she’s talking to him, the way she leans across the bar, meets his eye, laughs softly when he speaks. It’s in the air, he can feel it: the crackle of tension, the promise. No, he mustn’t leave just yet. A bit more sweet-talking is called for; maybe another song on the piano. Just for her. And he can make up the time, can’t he? He can put his foot down on the accelerator in Bernie’s motor all the way up to the Dyke. He can pick up the boy, dump him at home and be back with Betty in no time at all. Later he’ll take her for a spin. Up to the Dyke again, perhaps. He can find a lonely lane, park up and—. ‘Another?’ Betty says, raising a glass. Hurrying behind Mr Robinson as he strode off, they’d crossed the road from the campsite. Single file, they’d followed a narrow twisting brambled path. At the end, he’d raised a hand, stopped them. They were standing high on the edge of the Dyke, looking down the precipitous side of the dizzying drop. ‘Tell them, James,’ Mr Robinson said. James turned, faced Roger and Baxter. Baxter leaned forwards, looked uncertainly over the edge. Baxter and Roger nodded solemnly. He led off again, going faster, the three boys in crocodile-fashion behind, struggling to keep up. They kept to the path, zigzagging down to a lower slope, to where the open grassy ground fell less steeply away. There, Mr Robinson dropped his rucksack. ‘Ready?’ he said to James. James took off his glasses and balanced them carefully, safely on the top of the rucksack. With that, father and son flopped down together on to the grass; lay side by side; cupped their hands to their heads. Rolling, tumbling down the hillside. Shouting. Laughing. Because Mr Robinson was heavier, he went faster than James. He rumbled, bounced, crashed chaotically to the bottom. And there he lay: helpless, winded, shaking with mountainous laughter. ‘Come on, boys!’ Mr Robinson roared. Roger went next. Rolling, tumbling. Baxter was quickly behind. And as he went spinning down the hillside, no grass had ever been so green. So soft. The sky had never been so big. So blue. And when they were all at the bottom, they lay in a warm untidy breathless heap. At the roadside, Alan Robinson checks his watch again, does the calculation. Five hours or more to Pontefract – they could be there by six o’clock. They’ll have to stop, find a phonebox and call his sister, Nora, on the way. Tell her they’ll be late. Where is the boy’s wretched father? Once more, he puts a hand on Baxter’s shoulder. ‘Don’t worry,’ he says again. But the truth is, he thinks, there’s every reason to worry. About the father – and about the boy. About Baxter. Such a quiet, pale, troubled lad. That first night, he’d put the boys to bed in their tent, listened to them fall asleep, their whispered conversation coming quickly to an end after a day of fresh air and wild adventures. He was sitting by the dying fire, smoking a last pipe, trying not to think about Jackie, but thinking about her nonetheless. She would have loved this day with the boys; loved to have seen James, casting off the shadow, running with Roger and Baxter, making friends. It had worked out just as Alan had hoped it would when he’d convinced James to invite them. Jackie would have been proud of him. She would have laughed at him too though: rolling down that bloody slope. Far too old for that, she would have told him. And she was right – black and blue, he was. But it had been worth it. For James. It had been—. The boy had come stumbling out of the tent, rubbing at his eyes. Baxter shook his head. He was crying. ‘Come here, lad,’ Alan said. He found a blanket from his tent, wrapped it around him. For a while they sat side by side, close to the fire, listening to the night, to the distant hoot of an owl. ‘What was the dream?’ he finally asked. Alan knocked out his pipe on the stones of the fire. He was going to find some words of comfort. But Baxter wouldn’t let him. ‘My daddy says big boys don’t cry,’ he said, his head bowed. Oh yes they do, Alan thought. He’d shed so many tears for Jackie this past year. And he’d woken up night after night, with bad dreams of his own. Woken up every time the doctors got to the diagnosis: cancer. He knew what bad dreams were. He had to do something to help the boy. After rolling down the hill and landing in a heap, they did it again, and then again. And afterwards they set off exploring, deeper, beyond the gorge. They followed a rippling, dappled stream that ran fast through a shaded wood and on into a small lake. Once more, Mr Robinson stopped, raised his hand. ‘Tell them, James, if you please,’ he said. James pushed at his glasses and told them. Mr Robinson interrupted, ruffled his son’s hair. Baxter peered into the water; saw himself floating there, face down. ‘Off limits?’ he asked Mr Robinson quietly. After that they floated sticks, raced them down the stream and into the lake. They found a boat and Mr Robinson rowed them across to the far bank. They pretended to be pirates as they went. ‘Avast ye, landlubbers!’ they cried, not knowing what it meant. On the grassy bank, they stripped to their swimming trunks, jumped and splashed in the shallow water. Stayed there until their teeth chattered and their lips turned blue with cold. And Baxter had never been so happy. Christie plumps the pillow behind Megan’s head, strokes her cheek with the back of her hand, tucks her tightly in. ‘You’ll feel better after a sleep,’ she says gently. It had been an ordeal – for mother and daughter. The dentist had probed and drilled; Megan had gagged and sobbed. Pale and groggy, her mouth numb and sore, the only place for her when they got home had been her bed. ‘I’ll come back up and see you soon,’ Christie says, closing the curtains and tiptoeing from the room. Downstairs, she checks her watch again. She must have done so a hundred times today. She’s worried now: Truman and Baxter should have been home long ago. She’d been shocked to come through the front door and find the house empty. In the kitchen, she busies herself at the sink. Closes her eyes. She should never have trusted Truman. Not with Baxter. She stops; shakes her head; dismisses the idea. If she goes, she might miss them. And make matters worse. Or she might provoke him. And she knows she mustn’t do that. After the swimming, they went back to the camp and played football in the field; Mr Robinson was the goalkeeper and he wasn’t very good because everyone scored a goal, even James. Then they found sticks and Mr Robinson sharpened them with his penknife. Later, they collected firewood. When the fire was built and before it was lit, Mr Robinson raised his hand and looked down towards his son. James needed no second invitation. ‘This is the third dangerous thing,’ he piped, more confidently than before, a small swagger in his voice. ‘Do you know why?’ he asked Baxter and Roger, playing the schoolmaster now. ‘Because you could burn,’ Roger said impatiently. James ignored his impatience, carried on. ‘But it doesn’t have to be like that,’ he said. ‘As long as we take care?’ Baxter said. ‘You’re getting the hang of it, lad!’ he said. The light was fading at the end of the long outdoor day and the boys, suddenly cold again, huddled closer as Mr Robinson put a match to the dry leaves and twigs at the base of the fire. It began disappointingly – with a thin twist of smoke that rose limply from the leaves. But then, a small flame began to lick at the twigs. And within a moment, it caught, flames rose, and, as if it were alive, it let out a small rushing roar. Baxter had never stood by a fire before, not outside; the coal fire at home wasn’t the same. He moved closer to the flames – but, took care not to go too close. He raised his hands, felt the gathering warmth. It was the best thing of all: better than exploring; better than the rolling and being in a heap; better than the lake and pirates; better than the football. When the fire settled, they cooked sausages, toasted bread on the end of their sticks and heated a pan of beans. After they’d eaten, they sang the Ging Gang Goolie Goolie Watcha song. Which Baxter thought was quite hard to learn. Especially when you were laughing. Before bedtime, they were allowed to poke at the fire with their sticks, watch the sparks rise and disappear. Like magic. In the tent they talked sleepily – whispering so that Mr Robinson wouldn’t hear. ‘It was the best day,’ Baxter said, yawning, curling into the warmth of his sleeping bag. But then the dream had come and Baxter had gone out of the tent so that Roger and James wouldn’t hear him cry. And that’s when Mr Robinson told him. They were sitting close together by the last of the fire. Baxter small and wrapped in a blanket: Mr Robinson big like a bear. His voice was deep and quiet. For a while they sat in silence. Then the owl hooted again, closer now. It made Baxter jump, bite his lip. Mr Robinson raised a big hand and pointed at himself. Baxter nodded. He wanted to know. Needed to know. Mr Robinson leaned closer so that Baxter was sure to hear. ‘I close my eyes and count to three,’ he said. ‘Close your eyes?’ he said, mystified. ‘And count to three,’ Mr Robinson said. ‘Is it like magic?’ Baxter said. Mr Robinson slowly shook his head. ‘No, it’s not like magic, Baxter,’ he said. ‘Because the bad things are still there, they don’t go away. Accelerating up the hill of Dyke Road, Truman reaches blearily in his jacket pocket for his cigarettes – and then suddenly twitches at the steering wheel, lurching the car to the right. He hadn’t seen the cyclist until the last moment. ‘Whoa! Steady on, old son,’ he tells himself. Perhaps he shouldn’t have had that last drink. Or the one before. He looks in the rear view mirror. The cyclist had wobbled to a halt by the kerbside and is shaking his fist. Truman laughs: what the hell? No damage done. Glancing at his watch, he puts his foot down on the accelerator, enjoying the roar of the engine. Ford Zodiac Mark II. Nice. Bernie always did have taste. He looks at his watch again, tries to do the calculation, gives up – but he’s sure that, if he keeps his foot to the floor, he can fetch the boy and still be back at the pub in time to pick Betty up. ‘Fancy a spin later,’ he’d said to her. ‘If you’re there and waiting,’ she’d said, with a toss of her head. He’d be there. Waiting. Ready for her and—. It all happens at once. Fast. But somehow in slow motion. He fumbles in his pocket again for his cigarettes; squints as he clicks his lighter; the smoke rises stinging into his eyes; the milk float pulls out from the side road; Truman swerves, sways, slaloms the Zodiac round it; he jerks the wheel, tries to straighten; clips the lamppost on the far side of the road with his wing mirror. Hitting the brakes, he shudders to a halt. The shattered mirror flops limply. How’s he going to explain this to Bernie? And no insurance either! He gets there quickly; he’s always been good with a story. OK, so this is what happened, this is what he’ll say. The kid was going to be sick. You know what kids are like, Bernie? I didn’t want that in the motor, did I? So I pulled over sharpish and some joker in a van clipped the bloody mirror. I was so busy looking after the boy, I didn’t get a proper look at him, didn’t get his registration number. Bernie will even be grateful to him. If the boy had thrown up all over his seats, he’d never get the smell out. Truman sets off again, thumping the steering wheel. Tyres squealing. He hasn’t got time for all this. Not with Betty waiting for him. None of this would have happened if it wasn’t for the boy. They are sitting in a line on the grass verge now: Baxter, then Mr Robinson and then James. James picks a long blade of grass, lodges it between his thumbs and blows a thin reedy tune. Mr Robinson reaches across, stops him with a gentle touch. Baxter stares ahead, says nothing. ‘So, that’s what we’ll do then. OK?’ Mr Robinson says. Baxter lowers his head, looks at the ground. He knows they have to wait – because if they go and then his father comes, he’ll be angry. He’ll yell and everything. And there will be hitting when he gets home. But he can’t tell Mr Robinson that. ‘No?’ Mr Robinson says gently. Baxter scrabbles to his feet. If they won’t wait with him, he’ll go and hide until his father comes. He sets off, running across the road, through the gate and into the field where the camp was. He stops running – but keeps walking, head down, thinking. ‘Baxter!’ James calls after him. Mr Robinson puts an arm around his son. On the second day of camping they were up soon after sunrise and, even though the morning was cold and misty, they sat on a blanket on the grass and, for breakfast, had cornflakes in plastic bowls and orange juice in plastic glasses. After the talk in the dark by the campfire, Baxter had returned to his tent, slipped back into his sleeping bag, and had done what Mr Robinson said he should do. He’d closed his eyes and counted. To three. The next thing he knew it was morning. When the cornflakes were finished, he had a question for Mr Robinson. ‘You said there were four?’ he said. He could only remember three from the day before – falling over the edge, the water, the fire. Mr Robinson gathered up the empty bowls and glasses; they would take them to the stream later to wash. Both Baxter and Roger nodded. And James looked pleased – because he already knew. He went striding ahead and they followed behind, half-running, half-walking. At the far side of the field, there was a metal gate that led to another field. Before they got there, Mr Robinson did what he always did. He stopped and raised his hand – but this time, he didn’t let James do the talking. He sounded stern, fierce – almost angry. ‘Do you understand?’ he said. All three boys nodded quickly. ‘Come. I’ll show you,’ he said. They inched forwards. Behind him. Nervously. At the gate, Mr Robinson gathered them together, put his big bear hands around them. Held them close. ‘Do you see?’ he said. In the middle of the field was a bull. Huge. Heavy. Muscled. Shiny black. It’s head held proud and high. It’s horns long and pointing. The boys clung to the gate and stared. ‘You mustn’t run,’ James said, as if he’d been told but didn’t really believe it. ‘Stand?’ Baxter said, knowing that he never could. ‘That’s right,’ Mr Robinson said. ‘What’s his name?’ Roger said. ‘It’s another name for the Devil,’ Mr Robinson said. It’s only when Baxter has squeezed through a gap by the gate and is half-way across the field that he realises what he’s done, where he is. He’d been so busy thinking about his father – about not going home before he comes, about shouting and hitting – that he hadn’t known where he was going, what he was doing. Baxter is close enough to see the angry glinting black of the bull’s eyes. Beelzebub is staring at him, snorting; steam comes from his nostrils like smoke from fire. He flicks his muscled neck, lowers his head. Snorts again. Panicked, Baxter turns, prepares to run. What you must do is stand your ground. Face him down. Every part of him is telling him to run – his head, his heart, the fear in his stomach – everything is telling him. Except Mr Robinson. Baxter turns again to face the bad-tempered bull. And as he does so, Beelzebub lowers his head once more and begins to trot, to run, to charge towards him. As he gathers speed, the ground begins to thunder beneath his hooves. But Baxter doesn’t move. And he does what he knows he must do. He closes his eyes. And he counts. Quickly. And it is like magic because, although he can hear the bull still charging, it doesn’t matter any more. And it doesn’t matter because he knows that now, it won’t be so frightening. Baxter opens his eyes and sees the bull still coming. And it’s true. He’s not frightened. It’s as if he’s in a daze, a daydream. And in this daydream, he’s just watching. Come closer. Closer. And then, finally, come close enough that he can feel a buffeting rush of wind; he can smell the warm rank smell of it. As it swerves away at the very last moment. And then suddenly, Baxter isn’t standing. He’s been scooped up and into Mr Robinson’s arms and they are running, running back towards the gate. Running and slipping. Running and falling in the soft mud churned by Beelzebub’s hooves. They are slipping, sliding and Baxter is still in Mr Robinson’s arms and Mr Robinson is breathing hard and Baxter is frightened now. Because they can hear Beelzebub coming again. But, finally, somehow, they are at the gate. And then they are up and over. But they are safe. Safe. On the ground, they lie in a muddied heap. Their breath coming fast. There’s wonder and shock in his voice. ‘But you told me,’ he says. Mr Robinson manages a small quick laugh. Again he fights for breath. And he’s fighting something else now. He’s fighting tears. Tears of relief; tears for the small, pale boy by his side. They are back at the roadside now. Sitting on the verge in their row as before. Baxter is picking at the caked mud drying on his knees, his arms, his tee-shirt, his shorts. In the distance there is the sudden noise of an engine – a roar like the bull. And then a horn sounds. All three of them look up, their eyes following the road to the crest of the hill – to where it dips suddenly away and out of sight behind the billowing may-blossomed hedgerow. Baxter stops picking at the mud and gets to his feet. He picks up his rucksack. This time, he’s sure what the sound of the engine and the blare of the horn mean. This time it is his father coming. Truman thumps at the steering-wheel of the Zodiac. It’s taken him much longer to get to the Dyke than he’d hoped. He’d been stuck for a mile behind a tractor. And then, when he was finally clear of it, he’d overshot his turning. There was no chance of being back in time for Betty now. The road rises and twists ahead of him. He takes the bend too fast, swerves erratically, grazes the hedgerow. Finally he sees the boy. Standing by the roadside with his rucksack. Truman hits the brakes and screeches the car to a halt a hundred yards short of where Baxter is standing. He fumbles for the door handle, stumbles out of the car, grabs at the swinging door to steady himself. He definitely shouldn’t have had that last drink. Still holding fast to the door, he shouts to Baxter. It’s only then he realises that Baxter isn’t alone. There’s another boy sitting on the verge and there’s some joker with a beard. Baxter hasn’t moved – and the bearded man is now standing beside him. ‘Who the bloody hell are you?’ Truman calls to him. The man takes a step forwards. ‘I said, shift!’ he yells, climbing unsteadily back into the car. Alan Robinson shakes his head. He’d intended to have a quiet word with the father, to explain what had happened with the bull; to suggest that he should keep a special eye on the boy. To make sure he’s OK. But there’s no point in even trying. He can see that. The father has obviously got a temper; looks as if he’s been drinking. Alan drops to one knee, puts his hands on Baxter’s shoulders. ‘Remember what I told you?’ he says. Baxter’s heart is beating fast; he feels sick in his stomach. He knows he must hurry. He mustn’t keep his father waiting. Or there’ll be more shouting. Hitting. But he does as Mr Robinson asks. Counts. Slowly. Breathing the numbers aloud. When he’s done, his eyes flick open – but he knows at once, it hasn’t worked. He’s still afraid. More afraid than ever. Mr Robinson is still on one knee in front of him. Still holding him by the shoulders. Baxter looks at him, his eyes filling, and a thought comes to him. A sudden desperate, wonderful thought. ‘Can I ask you something, Mr Robinson?’ he says. 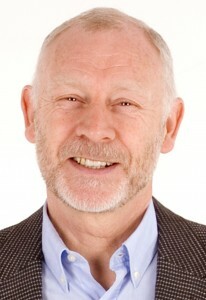 Alan Robinson tries to force a smile. ‘Of course, lad,’ he manages to say, his voice thick. Baxter swallows hard. Asks his question. ‘Can you be my daddy, Mr Robinson?’ he says. From the car comes an angry blast of the horn. Alan Robinson shakes his head, fighting hard, fighting the tears. Baxter tries again. Pleading now. Great story, can’t wait to read the others! You tell them so well. Thank you so much, June. You can also find all five of my free short stories here http://mark-haysom.co.uk/the-stories/. I have just read your story. Wanted to go on to find a happy ending. It has the makings of another heart wrenching novel. Well written, Mark! I look forward to the next. Jill. I’m so glad you enjoyed CLOSE YOUR EYES, Jill – it was written as a ‘prequel’ to my novel, LOVE, LOVE ME DO. If you haven’t seen them all already, you’ll find other free stories of mine here that, I hope, you might also enjoy http://www.mark-haysom.co.uk/the-stories/. I really loved this story felt like I was there on the camping trip. 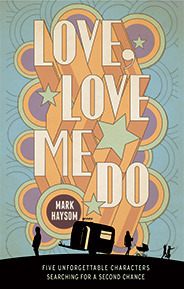 I finished Love Love me Do yesterday could not put it down.I enjoy your short stories keep them. Coming please. I relally loved this, it made me cry. You write with such feeling that I feel as though I am living this story although my childhood was nothing like this. Well Done to you!! I’m glad you enjoyed CLOSE YOUR EYES AND COUNT TO THREE, Marion. As you probably know, the story of Baxter and his father continues in my novel, LOVE, LOVE ME DO. If you are a Kindle reader, Amazon have a special offer on it this week. Thoroughly enjoyed this short story, but need to know what happens next. Just wanted to give Baxter a cuddle and give his dad a flea in his ear!! Loved this….. and definitely want to know more about Baxter and his family! Apologies for not replying sooner, Maggi – I’ve been out of wifi contact for a few weeks. I’m glad you enjoyed the story – and hope that you have found your way to LOVE, LOVE ME DO and IMAGINE. You might also like to see my other from free short stories – available on my website or as a free Kindle download. Mark. Wonderful story, so well written. Felt so sad for Baxter. Must find your novel. Many thanks. Loved the story. Will definitely buy and read your first book Love, Love me do and your sequel book. I’m intrigued as to what happened next in your story. I love reading a book that holds my imagination and I can’t put down until I have finished it. Thank you. Thank you so much, Gina.It’s wonderful to get such feedback. You might like to know that there is another short story – THE TEST – appearing shortly. Mark. Loved this story. Really left me wanting to know what happened next. That’s great, Tricia. And you can discover more about Baxter and his father in my debut novel, LOVE, LOVE ME DO, and the sequel, IMAGINE. Mark. I felt so sad for Baxter, his mother and sister. So angry at the lousy self absorbed father. Hi Cheryl, Thank you for taking the trouble to comment. You can find Baxter and his father again in ‘Love, Love Me Do’, my debut novel, if you’d like to read more. Mark. Diana, what a wonderful reaction! Thank you so much for this. It means a great deal to me that my writing can have helped in any way. Mark. Loved this story, got me asking what happens next. Hope there is another chapter. I stumbled across this while reading another but had to read it. Thank you, great short story. Really enjoyed th story. Full of wisdom. Beautiful…left me wanting to know what happens next…..? KD: Another great short story. Thoroughly enjoyed every moment. It was as if you were stood right alongside Baxter every step of the way. LG: Written so well. Felt I was living the story! AT: Loved it !! Brilliantly written !! BW: What a great story. I felt like I was there, beside Baxter. What a talented man who wrote this story. MMcM: Lovely, lovely story. I really enjoyed this. Thank you for sharing. I wanted it to go on and on, really enjoyed it. The story must really hit home with some readers I was so lucky growing up, we were poor but never were we mistreated by our parents. Thank you, Georgia. I’m glad you enjoyed it. You might like to take a look at my regular blog – or the opening chapters of ‘Love, Love Me Do’.